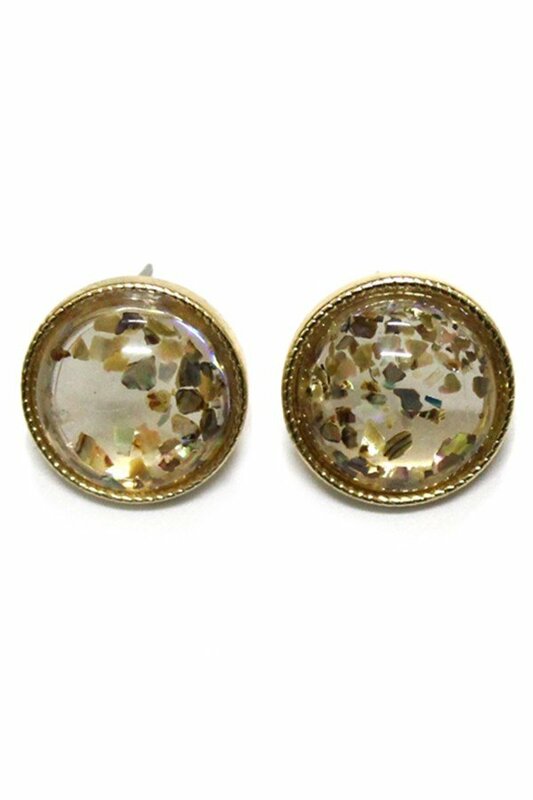 Description: Round clear stone earrings with abalone shell flakes and gold trim. Post back. Approx. 0.75".